Our South Carolina Chapter held it’s first ever Deer Hunt this past weekend. 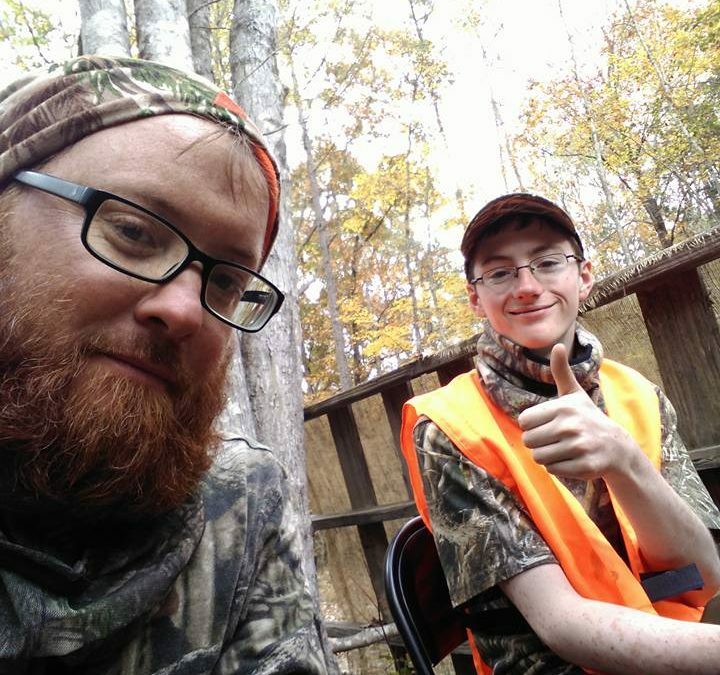 With a great group of boys and mentors, Program Director Rick Hall, led an awesome program and first deer hunt for our chapter here in NE Columbia, SC. We kicked things off Friday where Kim Hall had prepared a delicious dinner for the boys and mentors. We got in a little fishing before sundown and were able to pull in a few bass. After sundown the boys and mentors gathered around the camp fire for some fellowship, talking life, and the all important S’mores dessert! Shortly after every one turned in for the night as we knew it would be an early morning in the stands the next day. Saturday morning came early and after a quick bite to eat the boys and mentors hit the stand. 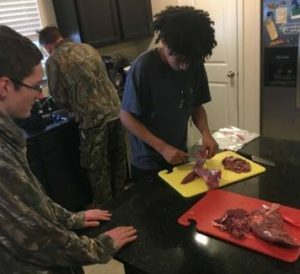 They were hunting on the personal property of Program Director Rick Hall, where all of our Truth in Nature Programs are held for the NE Columbia Chapter. Everyone was settled in with anticipation. The morning hunt started out slow, but soon a shot was heard. 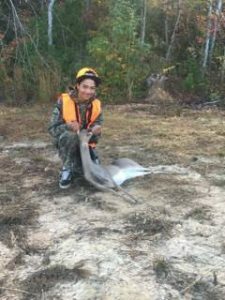 One of our young men Neko, with mentor Matt Hellman, made a perfect shot – dropping his first deer! Both Matt and Neko were super excited and it was smiles and congrats all around. The Rick and Daniel group did not have any action but were keeping their hopes up for the evening hunt. After taking care of the deer, everyone settled in for lunch and a devotional from mentor, Matt. It was a great time in God’s Word. We fished a little more and hung out before hitting the stand for the evening hunt. The boys hung in and hunted hard but the evening hunt did not produce a deer. We are super proud of our boys and enjoyed the time in God’s Creation. Please continue to pray for our programs, boys, and mentors. 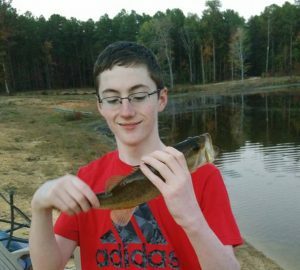 We love to see these young men succeed in all of the outdoor activities we hold. However the true success is when these young men come to know Christ as their Lord and Savior and strengthen their walk with Him. If you would like to partner with us by donating, involving a boy, becoming a mentor, etc visit our chapter pages by using the option at the top of the website. You can check out all the pictures from the program by using the link below.